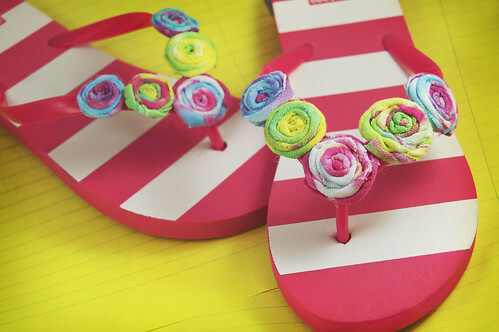 I was super excited about making this summery project the moment I spotted the super cute striped flip flops at Payless! Yep, for just 3 bucks I bought a pair of these swell kicks! I thought I would add my own DIY spin by adding tie dye rosettes from an old t-shirt I created with a Tulip® One-Step dye kit! 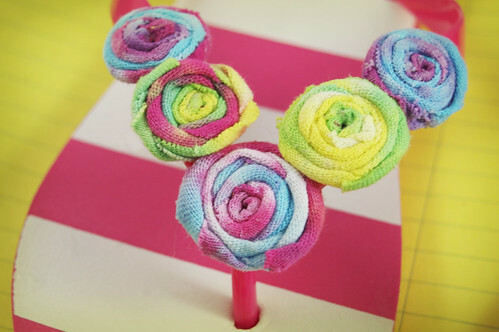 There are tons of tutorials on the net for making these little rosettes. 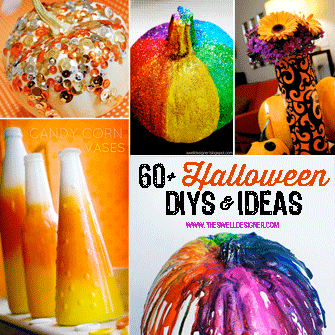 Here’s a great tutorial from The Blonde Style to make one. 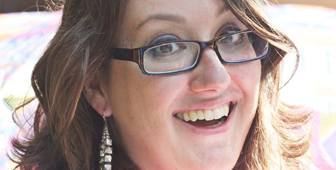 Like her, I used Aleene’s® Original Tacky Glue™ to make mine! Here’s a little detail of the rosettes. Aren’t they sweet? 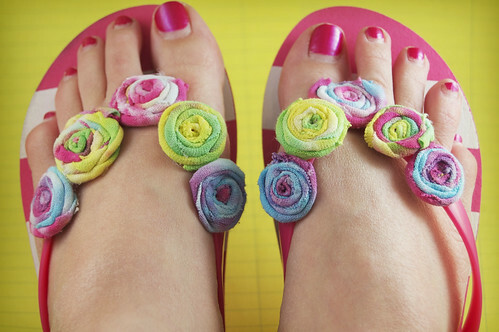 I did secure arrange the little rosettes in order before I placed them on and hot glued them to the flip flops. 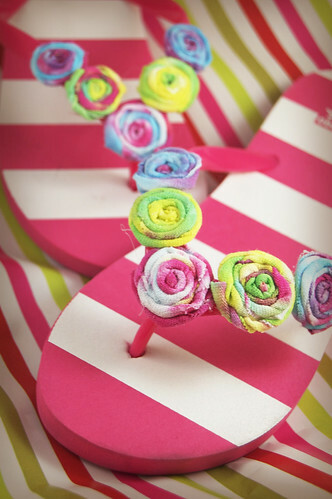 I think they turned out super cute and summery, don’t you? awesome pattern! you always give us wonderful ideas! thanks for post this stuff!